The Appellate Practice Committee strives to demystify the appellate process through its programs and the work of its subcommittees. Committee members monitor current developments in case law, proposed amendments to procedural rules, and proposals for legislation. Subcommittees also work on appellate institutes, the National Law Student Appellate Advocacy contest, program planning, and numerous special assignments. We have eight subcommittees—ranging from programming to social media to pro bono—that always need energetic and talented members. Please email our membership cochairs, Paul Hudson and Jason Kairalla to get involved with a subcommittee. Please tell them if you have a specific interest—such as contributing a Sound Advice piece, planning CLE programs, working on our social-media efforts, or writing a newsletter article. Welcome to the website for the ABA’s Appellate Practice Committee. This site explains our committee’s mission, how we implement that mission, and how you can get involved. What is the Appellate Practice Committee? 1. We serve as a hub for attorneys who seek resources to enhance their appellate-advocacy skills. 2. We provide our members with meaningful professional networking opportunities. 3. We deliver thought leadership on issues of appellate law to the national legal community. What, more specifically, does the Appellate Practice Committee do? CLE programs. We plan and execute CLE programs at the Section of Litigation Annual Conference and the ABA Annual Meeting. This spring, for example, we will present a program on how to prepare for oral argument. The program will center on a mock oral argument and will feature appellate judges and advocates from across the country. We have presented programs in past years on the U.S. Supreme Court, techniques to enhance appellate briefs, and the intersection of appellate law and popular media. Appellate Practice Newsletter. Our committee publishes a quarterly e-newsletter, the Section of Litigation’s only publication focused exclusively on appellate law. Please contact Shaunta Knibb if you have any ideas future articles and/or would like to contribute an article. Sound Advice. Through the Section of Litigation’s Sound Advice program, our committee regularly offers podcasts about appellate advocacy. You can find our committee’s more recent Sound Advice pieces on the right-hand navigation of this page. We will release more podcasts in 2016. Summaries of key developments in appellate law. Our committee keeps its members abreast of notable decisions concerning appellate procedure. The committee generally does this by emailing summaries of these decisions shortly after they are issued. 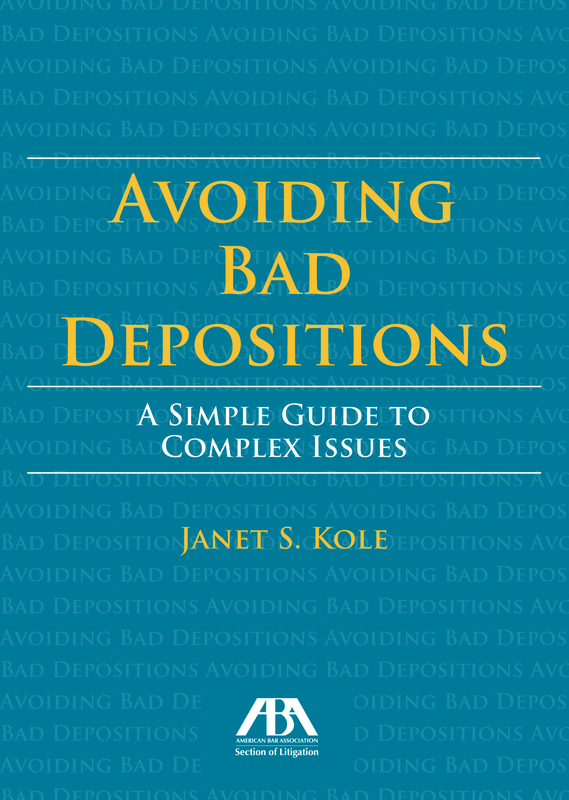 Book on appellate advocacy. The committee publishes A Practitioner’s Guide to Appellate Advocacy, a practically oriented resource for all lawyers who seek guidance on appellate issues. We are currently updating the Guide for a new edition. In addition to offering these and other resources, our committee provides its members with meaningful professional networking opportunities. These opportunities often come from working together on subcommittees, from building relationships at the Section of Litigation Annual Conference and ABA Annual Meeting, and from connecting through social media. How can you get involved with the committee? We have eight subcommittees—ranging from programming to social media to pro bono—that always need energetic and talented members. Please email our membership cochairs, Paul Hudson (hudson@millercanfield.com) and Jason Kairalla (jkairalla@carltonfields.com) to get involved with a subcommittee. Please tell them if you have a specific interest—such as contributing a Sound Advice piece, planning CLE programs, working on our social-media efforts, or writing a newsletter article. Thank you again for visiting our website. We would love for you to become involved with our committee and to use the committee’s resources—and the wisdom and experience of our members—to enhance your appellate practice. This subcommittee focuses on efforts to expand our committee's membership through membership drives, community outreach events, and presentations to other legal organizations. In addition, it works with new members to find subcommittees within the Appellate Practice Committee where they can be active participants. The subcommittee also encourages diversity and inclusion in committee membership, leadership, and member services. This subcommittee works closely with our Member Service and Bar Liaison and Young Lawyers Subcommittees in accomplishing these objectives.